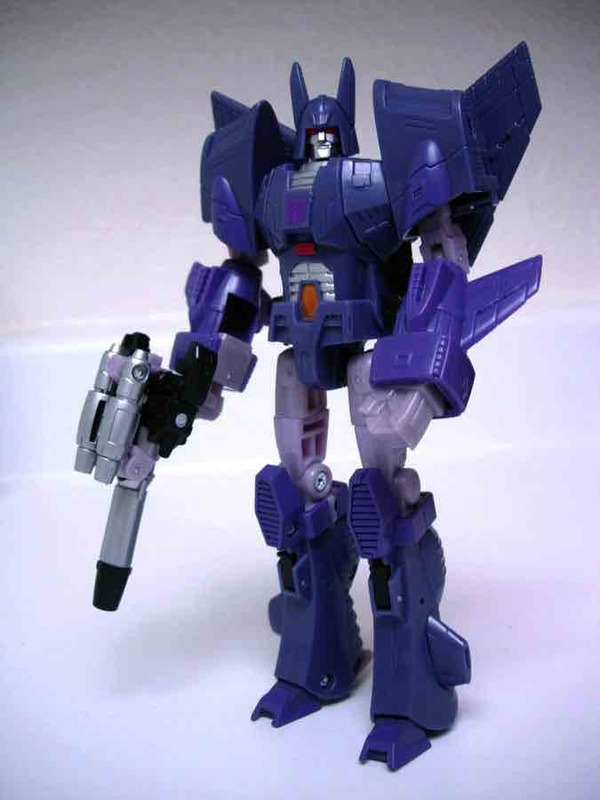 A more movie (or TV) accurate Transformers repaint is typically the domain of Japan, but this Cyclonus was part of a three-pack (also with Galvatron and Rodimus) distributed primarily in China. 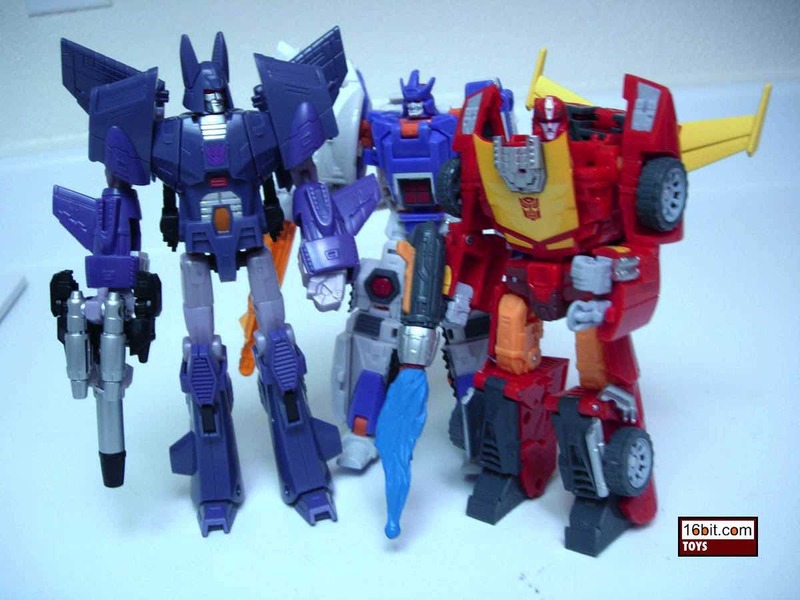 Despite being in American packaging, this set was never sold in the USA, but units were distributed at a Canadian convention at which a false rumor got out that this set would be a Target exclusive in the USA. Boy, that's annoying isn't it? A repaint of a 2008/2009 figure (which was also repainted for the Japanese market and as a red "Shattered Glass" figure for the Transformers Collector's Club), Cyclonus stands 6-inch tall and is arguably Hasbro's crown jewel in robot sculpting. The vehicle mode is excellent, but the robot is so good that at first glance it could probably pass for a non-transforming action figure. He's loaded with articulation and is painted up quite nicely. 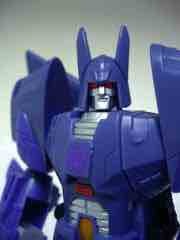 One big improvement over the previous US release was Hasbro's decision to paint the figure's face. The grey plastic used before sucked out all the detail, but with a splash of silver you can really see all the features pop nicely. 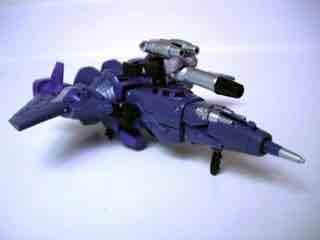 So yeah, you've got a basically top-notch Cyclonus figure and a really good space ship. The vehicle is, well, close enough. There are some ugly gaps in his intergalactic space craft mode, but overall it looks like a fantastical ship from the original film. On our sample, the tip of the nose would not easily come out and required the use of a small tool to pry it out. As such, be careful playing with this one, but once you get everything moving you'll be in good shape. One of the highlights of this release is Nightstick, his Targetmaster partner. It's a little robot that turns into his gun, which is a great gimmick. In gun mode, he can be carried in Cyclonus' right hand, plugged in to a socket on his wrist (if the hand is stowed away), or plugged on to the top of the vehicle. 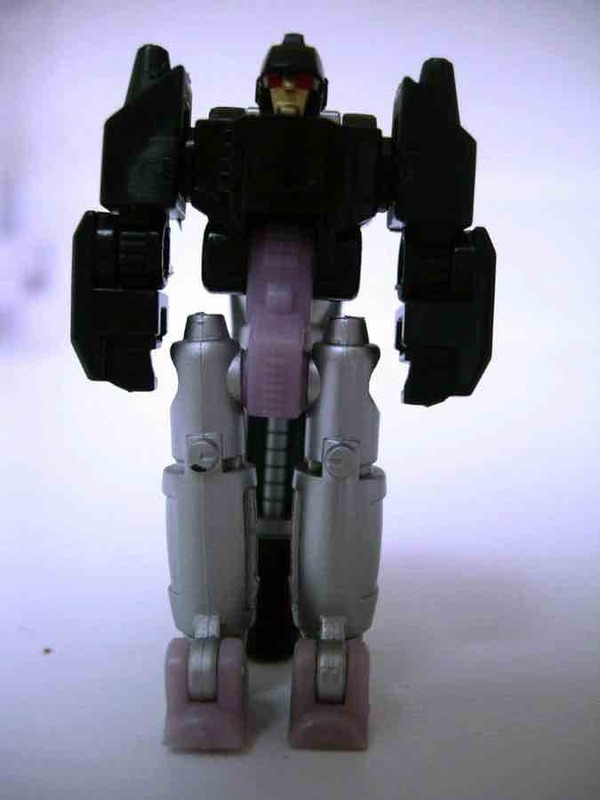 The robot itself has jointed elbows, shoulders, hips, knees, and technically toes-- meaning that this gun has more articulation than your average Generation One toy. If you like it and don't want to spring for the exclusive 3-pack, a slightly redecorated version of this mold will be sold in late 2010 and early 2011 with a redeco of Rodimus. 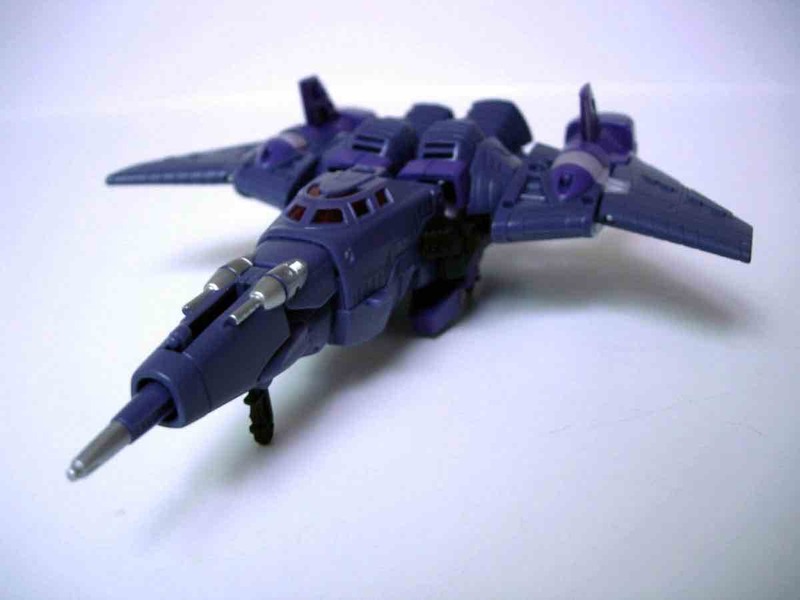 Their insignias will be replaced with rubsigns, which, while a step back, is probably going to be acceptable if you don't want to spend quite as much money on this toy.